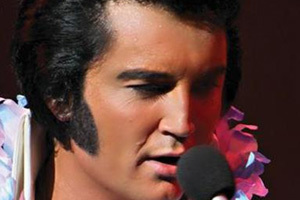 Ben Portsmouth, the world’s number one Elvis tribute artist, is a multi-talented musician, singer and songwriter who's had Elvis's DNA in his blood from an early age. He looks like Elvis, sings like Elvis and has an on-stage charisma that has audiences believing at times they are watching the 'King' himself. Internationally renowned as one of, if not the best, Elvis tribute in the world today, Ben Portsmouth will bring his unique style and charisma and will show audiences why he is regarded as the best in the business.